World-Class American Jazz Harpist Conducts Workshop at Salem Music Center | The Only Democracy? On Saturday, October 15th, 2011, American master jazz harpist Park Stickney visited the Salem village Music Center near Nablus. 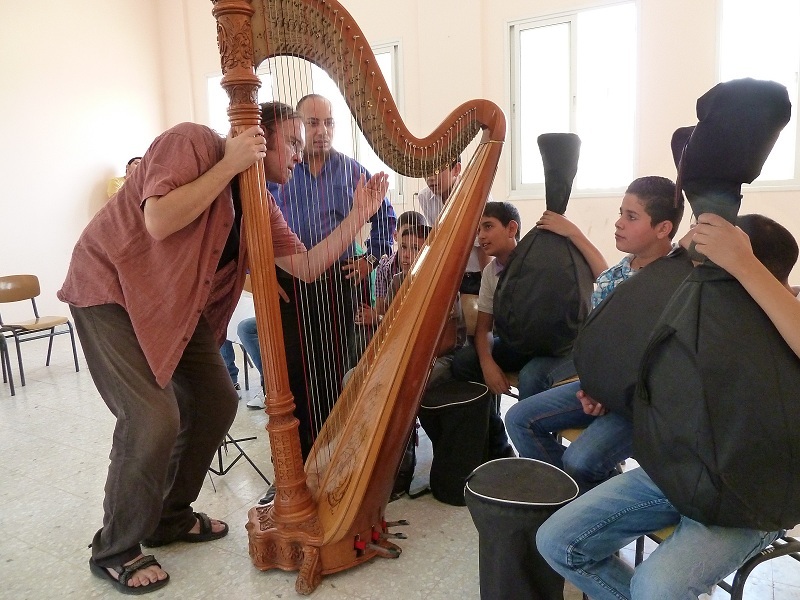 Stickney was in Israel-Palestine to give the opening concert for the new Jaffa Harp Festival. The Festival organizer, harpist Sunita Staneslow and her spouse Fred Schlomka informed Park about the Salem center, and he decided to include it in this – his first – visit to the country. During his visit at the Center, Park held a two-hour study workshop that opened with a presentation of the harp, a musical instrument new and unfamiliar to both students and teachers. 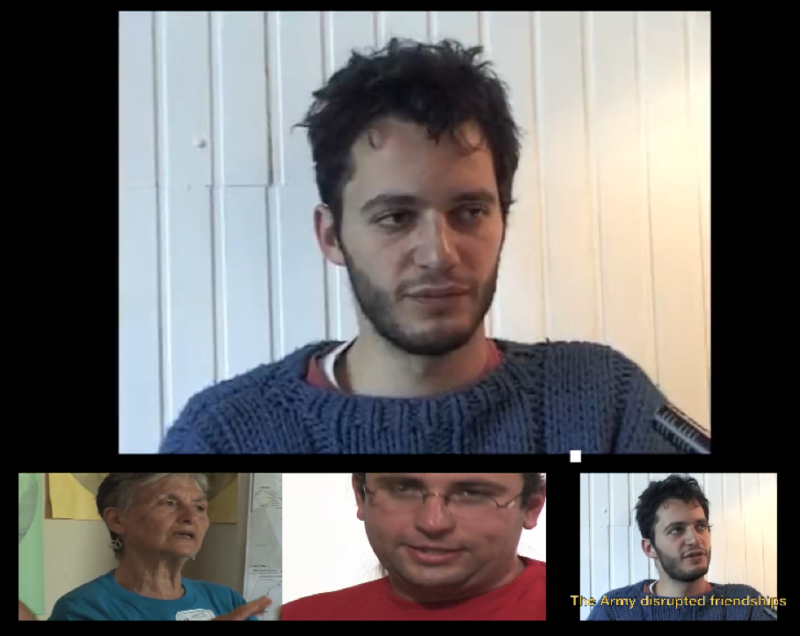 Most of the workshop was devoted to learning a well-known jazz standard – “Cantaloupe Island”. It was the Center students’ first encounter with this musical style. In teaching the tune, Park was assisted by Center teachers and other musicians, among them Dr. Ruti Katz from the Arts High School in Tel Aviv who has maintained close ties with the Center for the past year, and Josh Smith, a new immigrant from the United States. 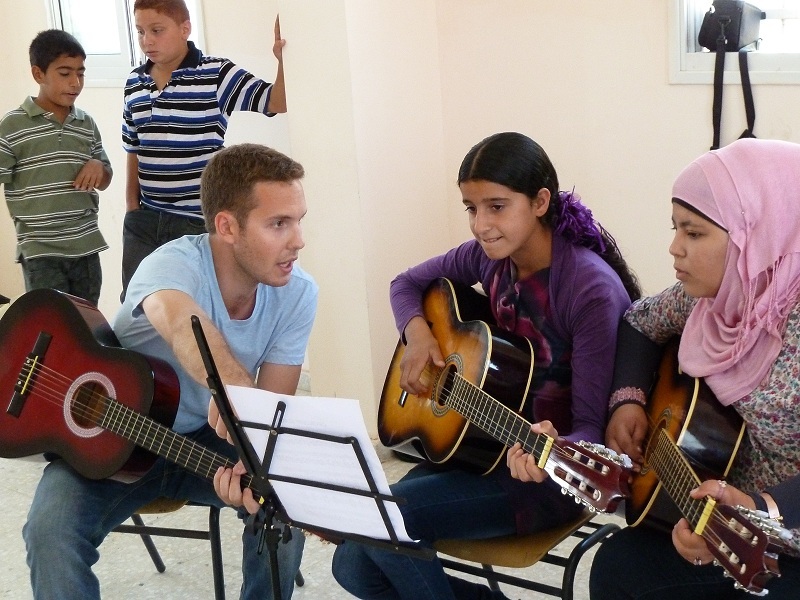 Itamar and Noam – both student musicians from the high school who have already visited the Center at Salem several times in the past – also took part in the workshop. In the closing part of the workshop, students at the center played some items from their own repertoire for the guest artist. 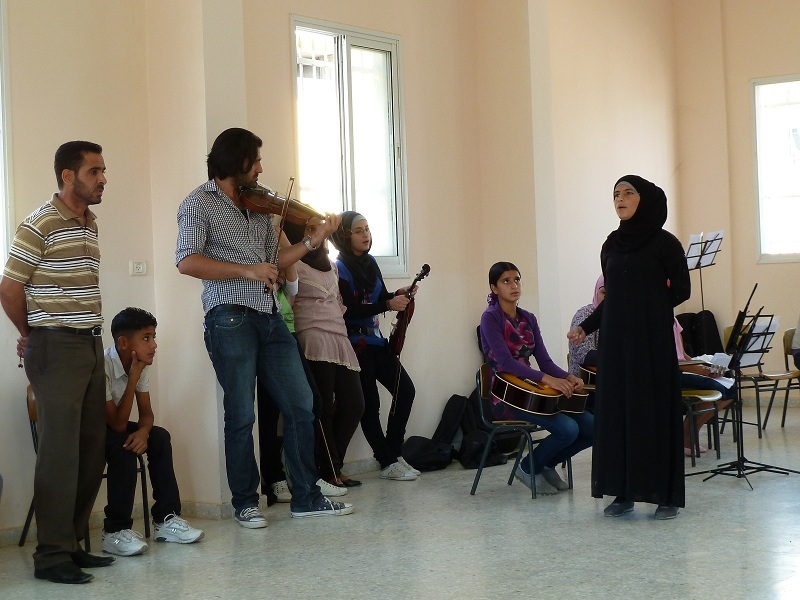 They were joined by Yusef, the singing barber from Salem and his daughter Shireen (singer and student at the Music Center) in some Palestinian folk singing. Park’s visit at the Salem Music Center joins a series of visits by musicians from abroad and from Israel. This activity aims to open and widen the musical horizons of the students at the Center, raise public awareness of the existence and activity of this small center and create new ties between the center and its teachers and musicians who show interest in them.